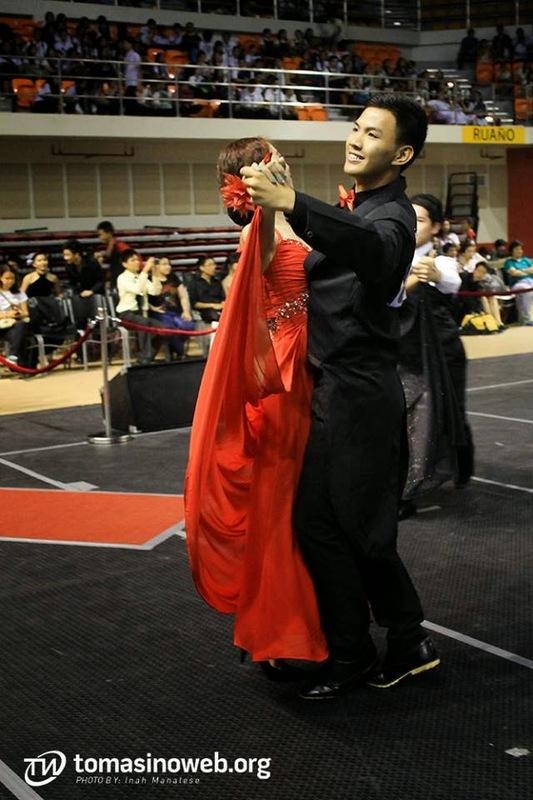 Aside from dancing ballet, I also enjoy dancing Waltz and Tango. This is a very late post but I guess I ought to tell you this amazing, great news! 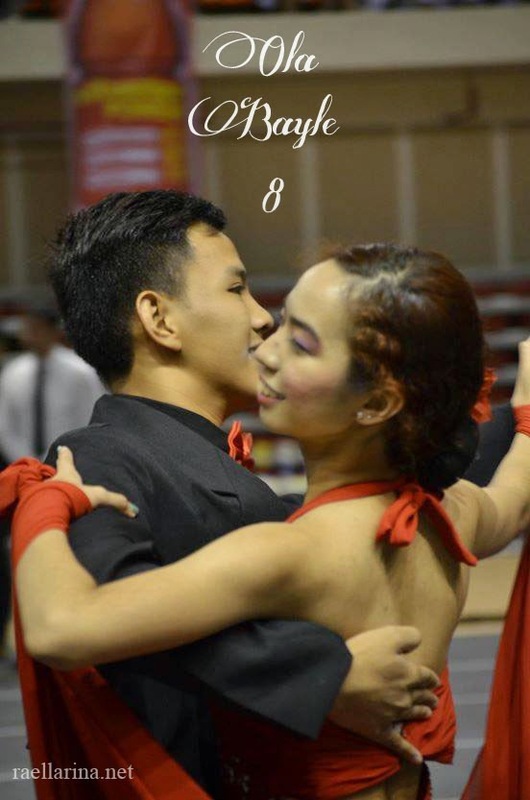 I placed at the 8th season of Ola Bayle together with my new dancing partner, Harley! We won 1st runner-up! I was 5th runner-up 2 years ago with Ali. Anyway, I was seriously thankful to end up as 1st runner-up (although, it would be more awesome if we were the champion. haha) but the thing is, unlike the other contestants, Harley and I only met a week before the competition which means, we only practiced for less than a week! Honestly, I was really planning to join this year's Ola Bayle but I cannot contact Ali (my original partner) and I was flooded with plates and I really can't make time to practice. But fortunately, my college had no classes for a week, and that week was the week of the competition! Great news right? Also, Harley texted me one night while I was on retreat. Apparently, his partner backed-out so Ma'am Apolonia paired us up! Say hello to my stage mom. hihi. She's putting safety pins to the slit of my gown from edressy because slits are not really allowed in the two-dance standard. But hey, I'm a rebel. hahaha. We (the contestants from my category) were assigned in this dance studio. Harley and I were practicing before the competition. She and her partner won during Ola Bayle 6. The official opening of the competition. For the two-dance standard category, the waltz and tango, we must dance twice (semi-finals and finals). From the semi-finals dance, they'll choose only 6 couples who'll qualify for the finals. During our first ever dance at the semi-finals (waltz) Harley and I started wrong. Mali paa namin. Nagkamali kami sa pinaka-start. huhu. So we started again and gave our all. We saw the score sheet and found out that one of the judges gave us a 5. So we got a 6-6-5. I think. But it was enough to qualify for the finals. But 3 couples were perfect so it worried us. At the final round, we seriously did everything we could. We managed to smile and pose before the 1st runner-up was announced. Haha. Harley and I thought na 3rd lang kami (2nd runner up) kasi sinenyasan kami ni xyza ng 3. So when the 2nd runner-up was called, we were ready to go to the stage. But to our great astonishment, another couple was called so we were so thrilled and quite ecstatic because we actually have a chance to be the champion despite the lack of time for practice. But then again... we were the 1st runner-up. It was such a fun and amazing experience! And truth be told, this is one of my best achievements so far. I really can't imagine my capabilities as a dancer but I am eternally grateful for the talents God has given me. On the day before the competition, we were all trained by professional dancers and honestly, Harley and I were having a hard time. Harley was confused with everything and we were actually falling behind and di kami makasunod. And with that situation, we have observed that our competitions were like grinning and happy and like, having an evil laugh. It's probably because we have intimidated them. I don't want to sound arrogant so I'll not tell the details. You can read my diary if you can though. =P But the thing is, we were asked to train at the dance studio by the professional dancers who trained us and who owned a dance studio. One was like, "punta nga kayo sakin. ittrain ko kayo." P.S. Sorry for the super long post and Thank you very much for reading. This is so cool - congratulations to you two!! CONGRATULATIONS! I knew that you are an amazing Ballerina and loved your post titled: What I really want to do for the rest of my life. That was amazing in itself. Your extension and dance has always been impressive, but to enter and be first runner up after less than a week's practice is phenomenal! I didn't know you danced the Waltz and the tango, though I should have guessed that you did and that you were good at it. Guessing that you are SO good at it is another matter. I am extremely impressed!!! Well done you! Congratulations Rae! the competition really looks fun. And the photos showed that you and your partner enjoyed the experience. 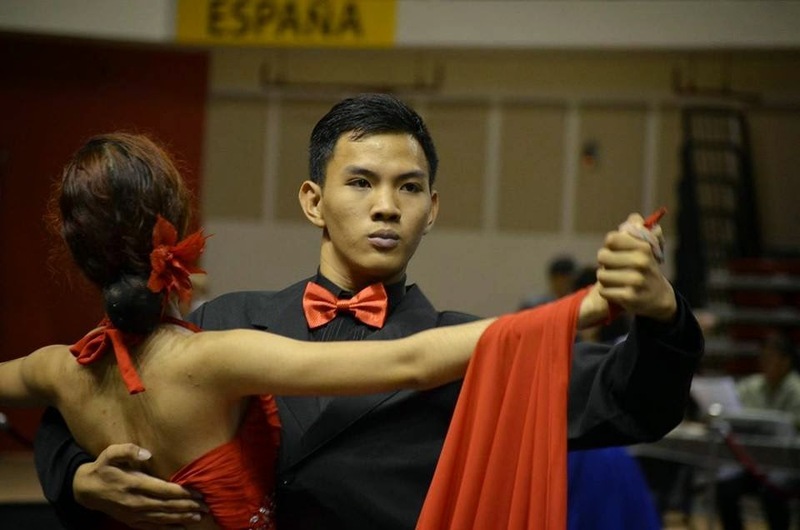 Now I miss ballroom dancing haha! congratulations! ugh I envy you haha I miss dancing.. congrats and yes always aim higher! love those red dress! I would like to learn Tango!